Strabismus refers to a misalignment of the eyes. The misaligned eye may turn inwards, outwards, upwards, or downwards.  Strabismus occurs in about 4% of all children in the United States. In a child with strabismus, the brain learns to ignore the image from the misdirected eye in order to avoid seeing double. Since the visual system is still developing in young children, this process may interfere with the normal development of vision and depth perception. The main sign of strabismus is an eye that is not straight. Occasionally children will squint or turn their head as a sign of strabismus.